Last night during pumpkin carving, this horrible, horrible conversation with my sons took place. Killian: How did pumpkin carving even become a thing? Corwin: *talking over me* Long, long ago, it was the time of The Great Pumpkin Wars – where pumpkins of old battled our neanderthal ancestors. The neanderthals won, of course, having opposable thumbs and clubs and all. And winning gave them the right to murder and decorate future pumpkin children for generations to come. Killian and I look at each other in horror. Okay, I admit, I was totally giggling. Me: Does this mean you’re not going to finish carving your pumpkin? Killian: I’ll finish it, but I’m not sure I want to share a room with that kid any more. Yep. These are the ones I have. 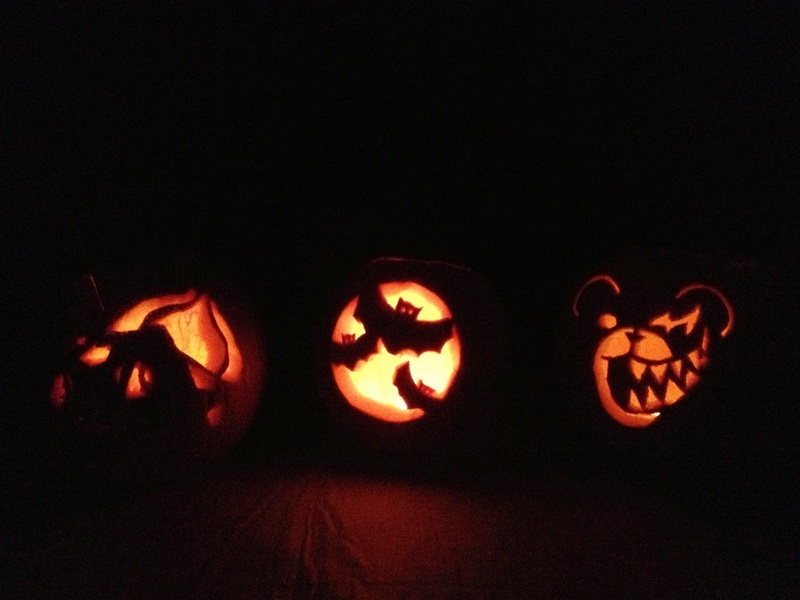 Oh, and these are the pumpkins we made! Is yours the bat one?